The EUR/USD currency pair reached a new local minimum and right now is becoming weaker. The fact that the price rebounded from the minimum doesn’t mean it’s strong enough to make a reverse. I think today the pair may grow up a little bit to reach the level of 1.0335 and then reach a new minimum again, this time at 1.2940. I should note that this wave is weak, but the price may expand it a bit. However, the market hasn’t formed any continuation patterns for the current descending trend. In my opinion, the pair may start moving upwards and form a pivot point for a reverse. 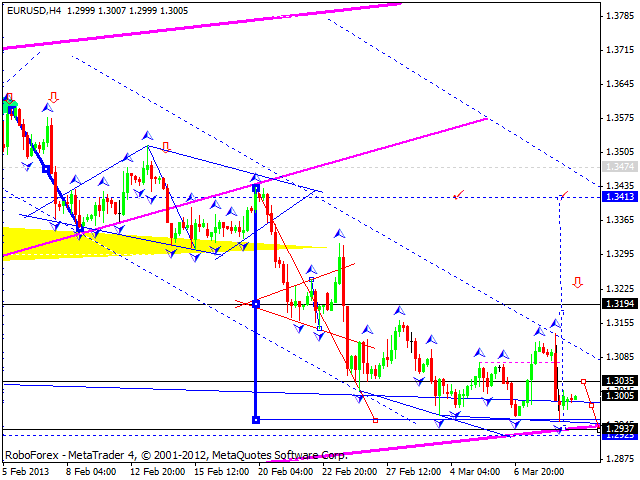 The next targets may be at the levels of 1.3190 and 1.3400. 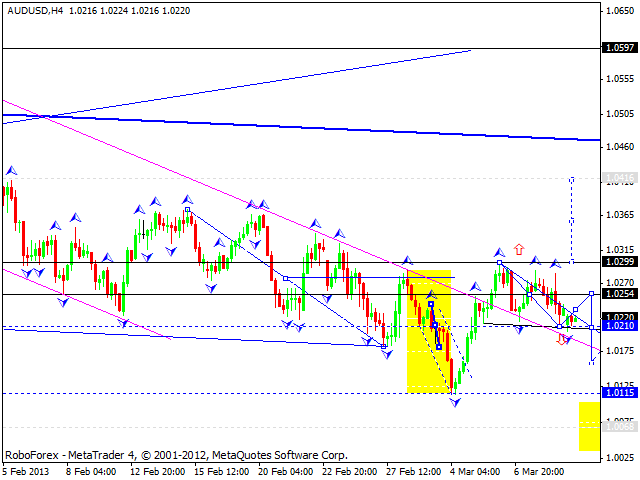 The GBP/USD currency pair continues moving downwards; it reached the target of a five-wave structure. I think today the price may consolidate nears its minimums. 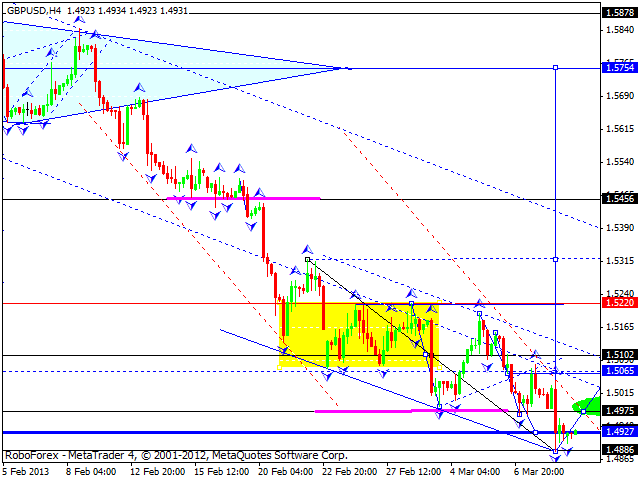 If the pair leaves its descending channel, the market may return to the level of 1.5065. Later, after reaching this level, the pair may start falling down towards the target at 1.500 and then make a reverse for a new ascending movement with the target at 1.5750. 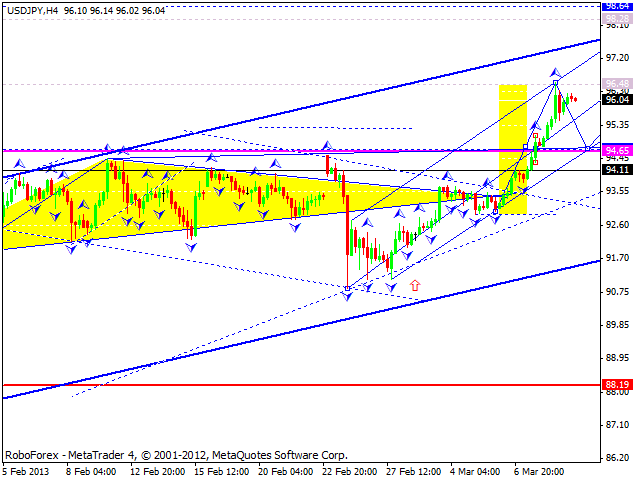 The USD/JPY currency pair continues moving inside an ascending channel; it reached another target. I think today the price may start a correction to test the level of 95 sand then make a reverse upwards to continue growing up. The next targets will be at the levels of 97 and 98. Australian Dollar completed another structure of an ascending wave. I think today the pair may form a new structure to continue this wave and grow up a little bit towards the level of 1.0250. Later, in my opinion, the price may move upwards and break the target at 1.0200. The first target of this descending movement will be at the level of 1.0115. Gold is moving inside its consolidation channel. I think today the instrument may leave the channel upwards and reach the level of 1608. 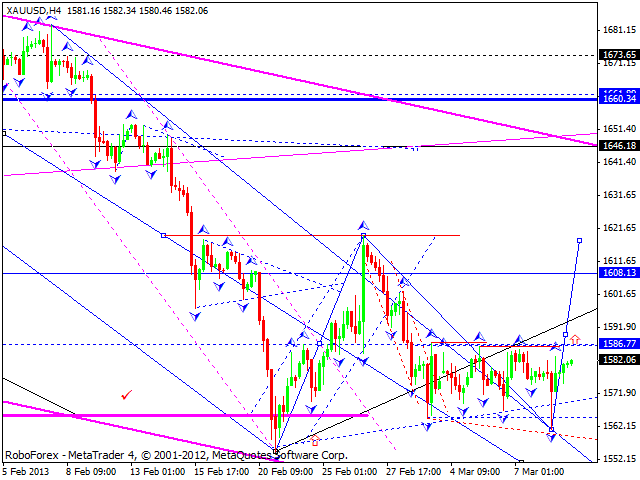 Later, in my opinion, the price may start a new consolidation to continue growing up towards the target at 1645. Alternative scenario implies that the instrument may start moving upwards only after reaching new minimums.